Most members are still trying to use the OTCP (Online Transfer Claim Portal) for submitting online EPF transfer requests to make their PF funds transferred from the previous account to new PF account. The EPFO (Employee Provident Fund Organisation) has recently added a new facility for their members/subscribers that now the Unified Member Portal can be used to transfer the PF funds by submitting EPF transfer claims online, Using this portal. Also Read: PF Deduction From Salary – Every Employee Must Know Where Does EPF Invest Your Money? Under the EPFO if a member or employee decide to change their organisation/company in which he/she working, They’ll probably figure out that how to withdraw PF amount? But, To make this process much easy and fast the EPFO has launched the facility of transfer PF amount/balance directly to the new PF account. Members who want to transfer their EPF funds, have two different options to choose from the first is to make a transfer with online process and the other one is an offline process. If you complete the process using online mode, the transfer and the process would be much easy as compared to the offline. To make all procedure smooth, one should make all requirements ready and must know the Terms & Conditions before proceeding the further process of transferring PF funds to another account. KYC details verified by the employer must be available & such details like Bank IFSC Code and Bank Account Number should be seeded with the employee’s UAN (Universal Account Number). 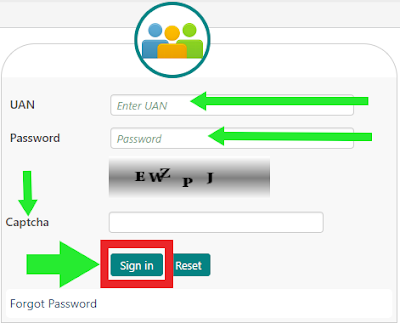 Recent Update (11/08/2017) The Adhaar number must be seeded with activated UAN and it should also have been verified by the employer. As it is now mandatory for online claim submission. Follow these steps & procedure to transfer your EPF using Unified Member Portal if you decided to change your job and need to transfer your PF funds as well. Step 6 ☞ Get the .pdf document and take a printout of it and go to the employer that you selected in the above process (previous employer or current employer) and submit the signed copy of PF transfer claim in the time period of 10 days. Your post is very informative. I enjoyed reading your articles and I would like to bookmark your posts. Thanks for such appreciated words, If you have any queries please feel free to comment here. We’ll happy to help our visitors. I had raised a request for online transfer of PF and has been approved by my previous organization. I can see the status as “Approved by Previous Organization”. Please advise What happens next? How long does it take for the money to get transferred to the new account. I will need to initiate Partial Withdrawal post this transfer. I’m request for online pf transfer of in my next UAN account.